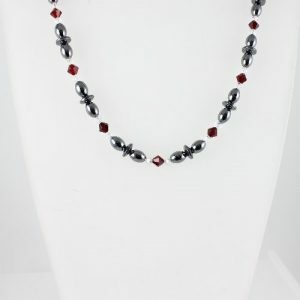 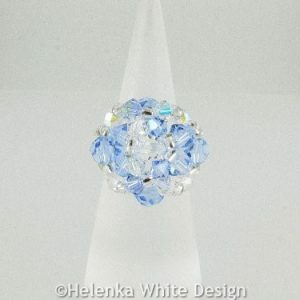 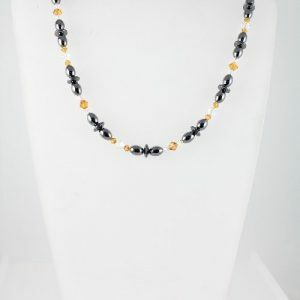 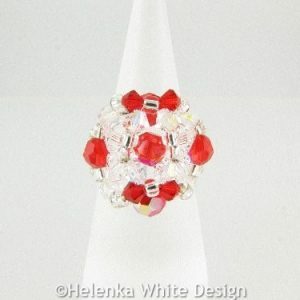 Here you can find jewellery handcrafted with Swarovski crystal elements. 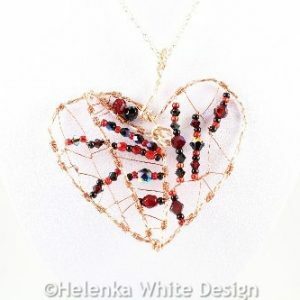 Beautiful wire wrapped heart pendant made with copper and silver plated wire, fire polished beads and Swarovski bicone beads. 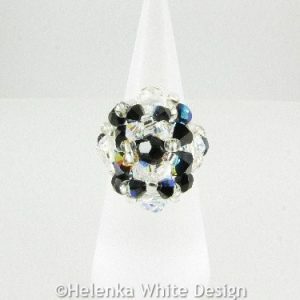 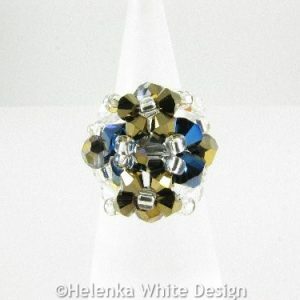 Hemalyke ring with Sapphire Swarovski crystals and Hemalyke beads. 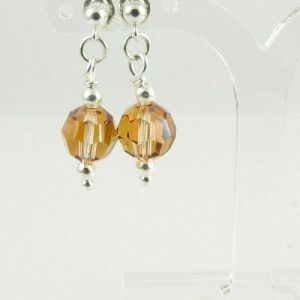 Handcrafted with memory wire. 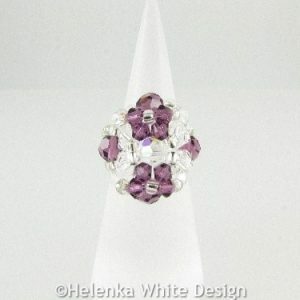 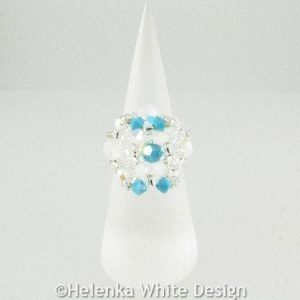 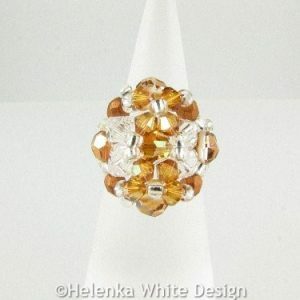 Hemalyke ring with Topaz Swarovski crystals and Hemalyke beads. 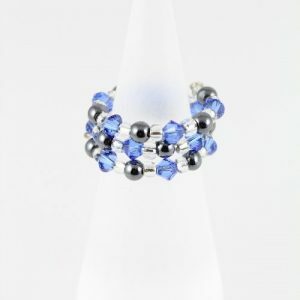 Handcrafted with memory wire. 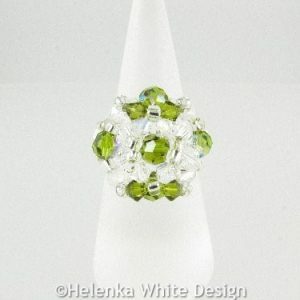 Hemalyke ring with green Swarovski crystals and Hemalyke beads. 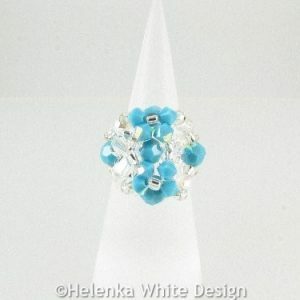 Handcrafted with memory wire. 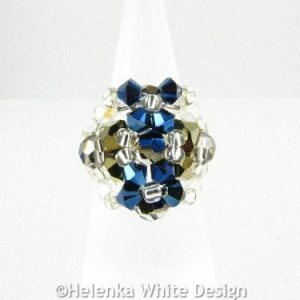 Leaf shaped ring – handcrafted with clear AB polished Czech beads, Swarovski bicone crystals in metallic blue and dorado, and strong fireline. 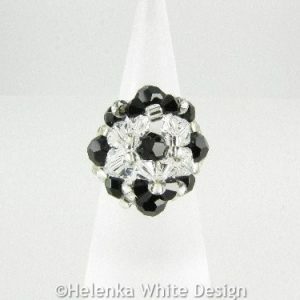 Fits size M/N (UK size). 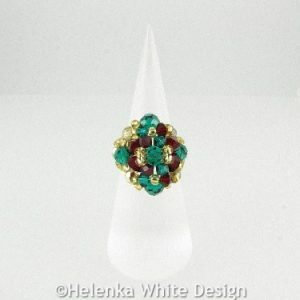 Swarovski crystal ring in red – handcrafted with fire polished Czech beads in siam, Swarovski bicone crystals in emerald and siam, red Cloisonne beads and strong fireline. 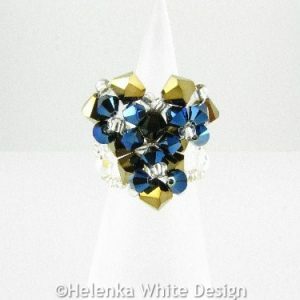 Fits size M/N (UK size).